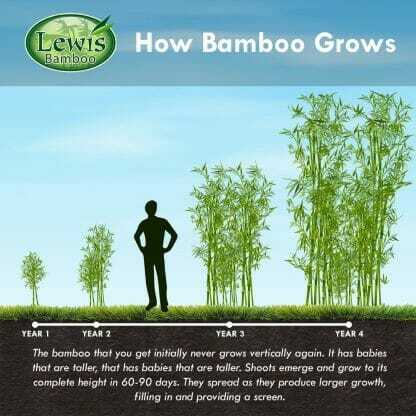 A very rare bamboo that makes a great tall screen but usually slow to spread. It develops a unique pattern of dark black/purple markings as swirls, blotches or spots on the beautiful canes. 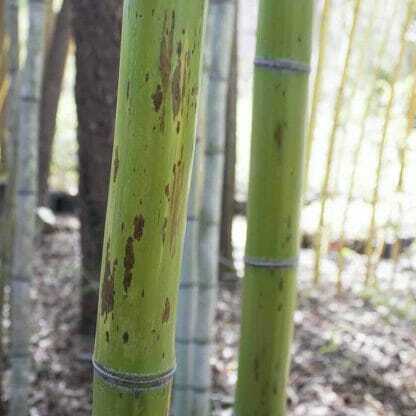 Phyllostachys Nigra ‘Bory’ is commonly called Leopard or Snake Skin Bamboo. This bamboo develops a unique pattern resembling the aforementioned skins when exposed to sunlight. Canes are green when they first emerge from the ground then with age the develop darkish black/purple markings as swirls, blotches or spots. The shoots are large and not bitter in the raw state. 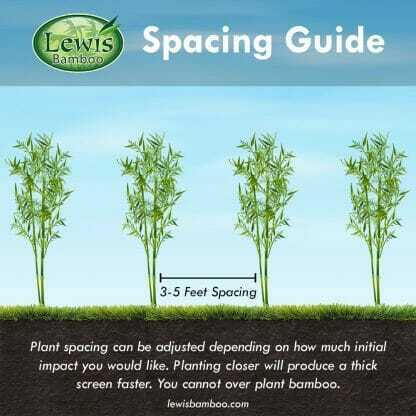 Snake Skin Bamboo is a very rare bamboo that makes a great tall screen but usually a slow to spread and can be controlled better than any of the other timber bamboo. Exceptional wood quality and used in many wood working project.